Welcome to the Benton Lions Club web site! 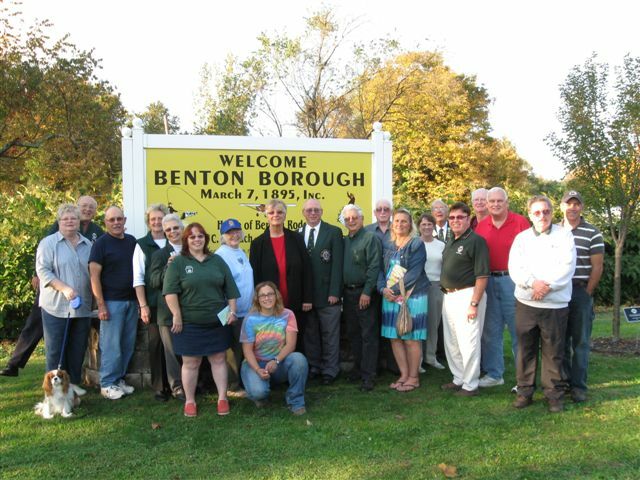 The Benton Lions club is one of the 60 plus clubs that make up District 14 G. Our club is located in the North-Central section of Pennsylvania and proud to be a part of the largest sub-district in Pennsylvania, both in terms of land area and membership. Through the years the Benton Lions club has supported numerous auctions by selling food to help raise funds for charities. Members have also participated in several local fund raisers such as raffles for cash, Pennsylvania Lottery tickets, a Penn State Simplicity Garden Tractor, and a Ford Econoline Truck, a gazebo. We have also raised money for the local community by selling milk shakes, ice cream, barbeque chicken, peanuts, pretzels, played "polish poker", sold the "Game of Benton" crushed aluminum cans in Don King's barn, and participated in the Lions Journey for Sight. For more information on District 14 G Click Here. If you are not already a Lion and would like more information about becoming a Lion you can visit the Lions International web site under our Connect With Us Section or Click Here.